South Texas photographer Hector Astorga works hard to make his images just right. South Texas ranches and the other half on the job at the blind store — which pays the bills and finances new camera equipment. However, at the pace that this workaholic photographer is putting out world-class images, it won’t be long before he can shutter the blind store and spend all his time in the field doing what he loves the most. His stunning photography can also serve as a guide to anyone who is serious about taking the quality of his or her own photographic portfolio up a notch. 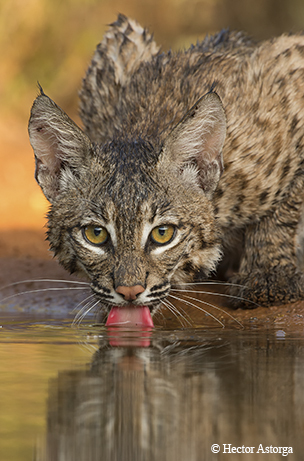 With no formal photographic training, Astorga has quickly become one of Texas’ top nature photographers in less than 10 years and has consistently won most of the country’s professional photo contests, including those sponsored by the Valley Land Fund, Wildlife in Focus, the National Wildlife Federation and the North American Nature Photography Association. 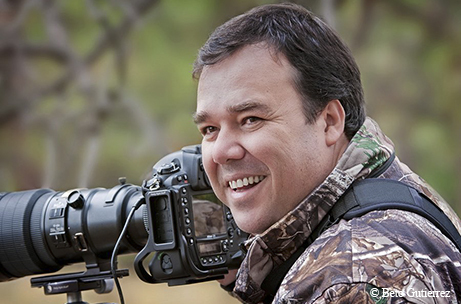 After being bitten by the photo bug at a wildlife photography exhibit at the World Birding Center at Quinta Mazatlan in McAllen, his personal journey began by studying the photographic work of many of the state’s and country’s top nature photographers and perfecting many of their techniques, particularly the use of strobe and modified lighting in the field. He builds on that foundation with his own personal work ethic, which makes him strive for meticulous perfection and separates his work from the average photographer. He even spent five weeks trying to get one good shot of an owl in flight … at night! It is this commitment to time in the field that makes all the difference. If you study Astorga’s nature images you will notice some common denominators that set them apart from most status quo images and can serve as good examples for any up-and-coming photographer. 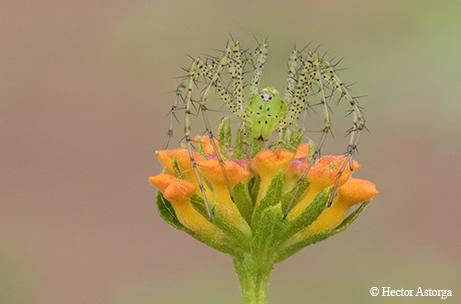 Using the basic subject matter as a starting point, whether it’s a mammal, insect, amphibian or even a landscape, he adds interest to the photo by including artistic lighting (natural and strobe), unusual angles and a painterly composition showcasing the graceful movement of the creature in an equally well-composed background. Many of his shots include two or more animals exhibiting some unique behavior, which makes the shot even more dynamic. Only after hundreds, sometimes thousands, of exposures does he get the one where everything comes together to make an engaging photograph that captivates viewers. In addition to his personal photography and job at the blind store, Astorga finds time to be the ranch manager of the nearby Santa Clara Ranch, where he oversees daily operations. He also shares his wealth of photographic knowledge as a professional guide with visiting photographers and conducts his own photo workshops at the ranch. See more of Hector’s work and view upcoming workshops at www.hectorastorga.com.